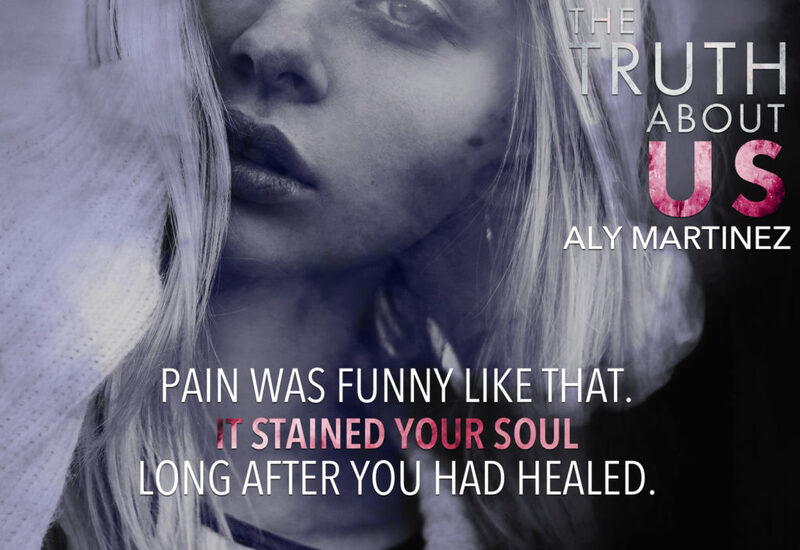 The conclusion to the heart-stopping Truth Duet by Aly Martinez just went live! 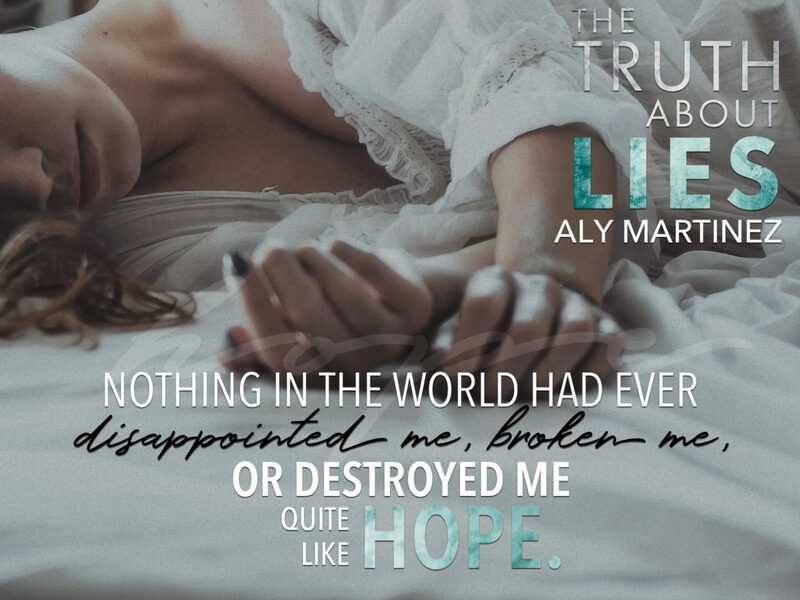 Today we are celebrating the release of the second book in The Truth Duet by Aly Martinez. The Truth About Us is now available! 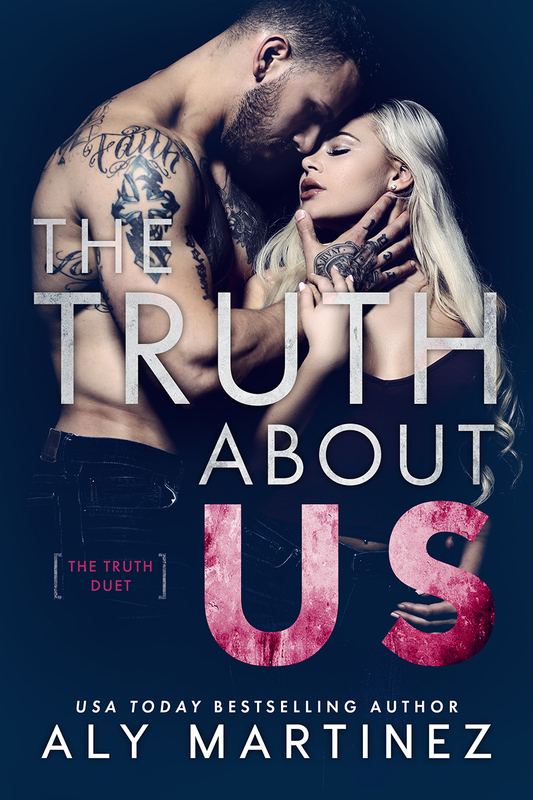 The first book in the duet, The Truth About Lies, is available too and both titles can be read for FREE as part of KindleUnlimited! Truth: Penn Walker entered my life like a summer storm—dark, ominous, and filled with thunder. After witnessing my husband’s murder, I didn’t have much of a heart left to offer a man. But Penn took it all. Even the dirty and twisted pieces that I wish never existed. Lie: I didn’t need him to save me. Lie: I knew exactly who he was. Lie: Losing him wouldn’t destroy me. But that’s the thing about lies—you never know who to believe. It’s never easy to pry the truth out of a pile of lies…to maneuver through the darkness in order to find the light…to become the person you were before everything veered off course…to continue to breathe in and out when the anguish and the torment became too much to bear. That’s how Cora’s lived her life since she can remember, wanting the truth but getting nothing but lies, and it’s beyond clear that Cora has reached her breaking point. There’s only so much one person can endure and cope with…only so many lies that can be swallowed until each and every one feels like a razor blade in her throat and due to the events at the end of The Truth About Lies, even though Cora’s hell on earth has improved, she’s still just as broken as she was and it seems like she’s all but given up and who can blame her; but if there’s anything I’ve learned about Cora since being introduced to her story, it’s that she’s not a quitter, regardless of how easy it would be to allow her real-life demons to win, so as lies turn to truths and she wraps her head around a chain of events that boggle the mind, she needs to decide if too many lies have tainted the truth or if every false statement is forgivable. It’s interesting how people want so much for things in their lives to be real but then what they also want is to be in all the good moments they can, even if it means living in the lies. It’s definitely a paradoxical idea and it’s one that seems to drive Cora and Penn’s story…until it doesn’t. You want the truth or a lie? The truth is…this story about did me in…there was never a point in it where I felt like Cora and Penn were going to be okay. There were so many lies told and while I wholeheartedly believe in forgiveness, I don’t think that all things are forgivable, especially after how Cora has spent her last 14 years. There are an abundance of players in this game of truth and lies, and even though most of the liars are dealt with, there are still those who aren’t completely honest with themselves or those around them, which means that they either will be dealt with or they’re good people who have done bad things and the lies were told to protect those they love, and as long as they tell more truths than lies, looking passed the less than honest statements is easy to do and even maybe necessary. Be sure to follow Aly’s newsletter for news about the duet. Originally from Savannah, Georgia, USA Today bestselling author Aly Martinez now lives in South Carolina with her four young children. Never one to take herself too seriously, she enjoys cheap wine, mystery leggings, and baked feta. It should be known, however, that she hates pizza and ice cream, almost as much as writing her bio in the third person. She passes what little free time she has reading anything and everything she can get her hands on, preferably with a super-sized tumbler of wine by her side. Reblogged this on Michelle's book's & Blog's.